There is descriptive epidemiology, which looks at the distribution of the disease over time, place, and over different subgroups of people. There is also analytical epidemiology, which looks at the causation of the trauma/disease. The environment can be a physical one or a sociocultural one. How these factors interact determines the epidemiology of trauma. Knowing these things can help public policy and laws designed to protect people from injury secondary to trauma. The transfer of physical/mechanical energy accounts for three-fourths of all traumas. The rest are due to chemicals, heat, electricity, and ionizing radiation. Injuries become severe and life-threatening when they fall outside the range of human tissue tolerance. William Haddon in the 1960s first came up with the idea that trauma is a public health issue. He came up with three phases of trauma: 1) pre-event; 2) event; and 3) post-event. He invented the “Haddon Matrix”, which identified pre-event occurrences like avoidance of alcohol and the use of proper restraint. Speed limits are also a part of that. Event occurrences include the use of safety belts, the deployment of an airbag, and impact-absorbing barriers. Post-event occurrences include bystander care, assessment of the vehicle, and access to emergency care. Injuries account for a quarter of all deaths in the US per year in all age groups. It is the leading cause of death in children. About 150,000 people die per year as a result of an injury. This is about 54 people out of 100,000 individuals in the US. There are 400 injury deaths per day and 50 of these deaths occur in kids. A total of 80 percent of all deaths in people aged 15-24 are attributable to injuries. Some declines in deaths have occurred over the years because of better restraint laws and the use of airbags. Workplace safety has saved some lives, while things like homicide fluctuate over time. Suicide deaths are relatively stable. Intentional and unintentional deaths have accounted for more than 30 percent of potential lives lost under the age of 65. This means that injuries account for more premature deaths when compared to cancer, HIV, and heart disease. Most deaths occur within minutes of the injury—at the scene, enroute to the hospital, or in the emergency rooms. Most deaths occur from central nervous system/head injuries. The immediate deaths are from massive hemorrhage, neurological injury or both. Even the best emergency medical systems can’t prevent or stop these deaths from occurring. There are fewer deaths from massive infection or end-organ damage because of better later trauma care. The best way to stop deaths from trauma are to deal with prevention-related items like airbags, seatbelts, and better car design. Another thing is to help improve access of injured patients to higher levels of emergency care, such as level III trauma centers. Research into infection, hemorrhage, and trauma will eventually reduce the number of deaths, especially delayed deaths from trauma. Deaths are only part of the injury burden. More than 1.5 million trauma victims are hospitalized in the US each year. These patients survive to the point of discharge from the hospital. About 28 million people are treated and eventually discharged from emergency rooms or urgent care centers. Injuries make up 6 percent of all discharges from the hospital and 30 percent of all emergency department visits per year. These injuries are far more than they look because they lead to things like disability and a decreased quality of life. In dollar amounts, the cost of fatal and nonfatal accidents in any given year is about 406 billion dollars to the overall economy. The costs related to deaths account for a disproportionate share of the costs spent on injury care. Deaths account for only 1 percent of injuries but account for 30 percent of the total costs incurred. The rest, about 70 percent, are related to the treatment of nonfatal injuries. These include hospital costs and the other costs related to healthcare as part of the injury. A total of 41 percent of the costs are from permanent and temporary disability. This doesn’t take into account the losses spent by family and loved ones as part of the ongoing trauma-related expenses. Injuries and deaths from trauma are most likely a problem of young males and older individuals. Seventy percent of deaths and half of all injuries not leading to death are seen in males. In all age groups, except for the age of 0-9, the rate of injury in males is more than twice that of females. In non-fatal injuries, males are only 1.3 times more likely to be affected. This trend reverses in the elderly, where females have a 1.3 times incidence of nonfatal injury when compared to men. The peak of death is from 16-40 and from the over 65 group where trauma is concerned. People under the age of 45 have 53 percent of all fatalities from injuries and half of all hospitalizations. They accounted for about 80 percent of emergency department visits. Hospitalizations and nonfatal injuries follow this same bimodal pattern, especially when it comes to males. The elderly person is less likely to be injured but more likely to be hospitalized and die from their injuries. The rate of death in the 65 and older population is 113 out of 100,000 persons and for those older than 75, the rate of death is 169 out of 100,000 persons. 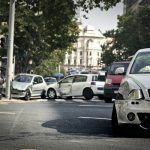 So it seems the elderly are overrepresented when it comes to injury fatalities in which approximately 14 percent were related to traffic injury deaths. Less than one percent of the deaths in the elderly were from firearms. Burns account for two percent of injury-related deaths and 1.4 percent of nonfatal events reported to the Centers for Disease Control. In 2004, alone, there were 167,000 deaths due to trauma. There were 1.9 million hospital discharges from the hospital secondary to trauma. There were 3.1 million visits to the emergency room due to injuries. And there were 35 million initial visits to private physician clinics because of injury-related events. Statistics show that 93 percent of nonfatal injuries were unintentional, whereas 68 percent of fatal injuries were unintentional. Thirty percent of deaths due to injury were related to violence. In 2007 alone, about 18,000 people were killed because of homicide. More than 34,000 deaths were related to the successful completion of suicide. This accounted for 66 percent of all violent deaths. Injury in the workplace is common. About 5000 fatalities were reported in 2008 as a result of injuries sustained at the workplace. This means that there were 3.6 per million full time workers per year. Transportation-related deaths accounted for 40 percent of all workplace deaths. Assaults and violence accounted for 16 percent of all fatalities, whereas 18 percent of fatalities were because of contact with equipment. Falls accounted for 13 percent. A total of 10 percent of workplace deaths were because of homicide. Eighty percent of these were firearm-related deaths. Five percent of all workplace deaths were self-inflicted. The Division of Labor Statistics reported about 4.6 million nonfatal work-related injuries. This amounts to 3.6 people out of 100 workers. A total of 71 percent of these injuries were in the service industry. Half of all injuries produced some kind of disability. It is important to catalog injuries by severity and nature. There are several systems available for cataloguing injuries by nature and severity. ICD-10 codes are important in cataloguing the various injuries and their nature. Death certificate data is the best way to identify injury-related deaths. There can be variations in the way that these injuries are presented. The National Trauma Database is another way to categorize injuries and deaths from trauma. They use a non-scientific sampling of various trauma centers that voluntarily submit data on trauma victims they see. Like death certificates, these voluntary submissions vary as to the completeness and accuracy of data provided. Some information is gleaned from coroner’s reports and autopsy reports. The autopsy results aren’t perfect but they do indicate a trend toward neurological injuries as a cause of death in many injuries. CNS-related deaths account for 40-50 percent of all fatalities found in fatal accidents. The second highest cause of death is hemorrhage, accounting for 30-35 percent of deaths. According to the CDC, neurological trauma accounts for the most deaths in trauma. This is a serious public health issue in the US today. Traumatic brain injuries account for many deaths and a great deal of disability when it comes to injury. Traumatic brain injury can be mild or severe, and many of the mild cases are missed. There are about 1.7 million visits to the emergency room, deaths and hospitalizations directly related to traumatic brain injury. Traumatic brain injury accounts for 1/3 of all injury-related deaths or about 52,000 deaths per year. The distribution of nonfatal injuries and fatal injuries is different from one another. There are many injuries associated with body areas that are not considered lethal. Even among nonfatal hospitalized injuries, only a fourth have Abbreviated Injury Scores of 3 or more on a scale of 0-6. 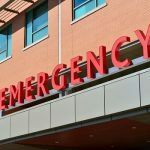 Injuries to the upper and lower extremities involve the leading cause of emergency department visits and hospitalizations among injured people. They account for over half of all non-fatal injuries and 47 percent of hospitalizations because of injuries. More than a third of all moderately severe or severe injuries are for injuries with an Abbreviated Injury Scores of 3 or more. Recovery can take a long time and can be costly. The best of treatment can result in disability and permanent impairment of the individual. The second most common type of nonfatal injuries that are hospitalized are due to head injuries. It accounts for 10-15 percent of all hospitalizations because of injuries. Mild head injuries are usually treated as an outpatient. The make up 2-5 percent of all trips to the emergency room visits. About 80 percent of these patients are treated and released from the emergency department. The actual number of head injuries may be under-represented due to the large number of them treated at outpatient centers and urgent care facilities. The total estimate of head injuries ranges from 152 to 367 people out of 100,000 individuals. Most head injuries are mild but about 70,000 to 90,000 are classified as severe and can result in long term disability. Head injuries from recreational activities are not uncommon, accounting for 300,000 injuries per year. Spinal cord injuries represent a small proportion of injuries from trauma. They account for 10,000 to 15,000 hospitalizations per year. Motor vehicle injuries make up 30-60 percent of all spinal cord injuries. Falls account for 20-30 percent of spinal cord injuries. About 5-10 percent of all spinal cord injuries are from diving accidents. There is a huge financial cost incurred as a result of spinal cord injuries, many of which are nonfatal but result in major disability. There is a varying amount of injuries as stratified across different areas of the country and between rural and urban areas. Unintentional injuries are highest in rural populations. In these areas, homicide accounts for many times more deaths than in suburban and urban populations. Death rates for unintentional injuries are greater in the Southern states and Western states. Suicide rates are higher in the west and homicide rates are greater in the south. When things like access to care, educational climate, and economics are factored in, the differences in death among the different geographic locations become nonexistent. There are a number of confounding factors that play into the results from trauma assessments and epidemiology. There are things such as race, socioeconomic factors, culture, access to healthcare, alcohol abuse, drug abuse, and ethnicity that cannot all be controlled for when looking at trauma data. This means that caution must be observed when interpreting trauma data. There is a lot of data missing regarding pre-hospital care and post-hospital care of injuries, including rehabilitation. There have been many pre-hospital databases developed over the years. Only 26 states supply data to the NEMSIS program, the “National Emergency Medical Services Information System” database. At least 12 states are considering legislation to have the states contribute to this system, which will help make the data more accurate. Many professional organizations are pushing for change that allows EMS systems to provide data that is NEMSIS-compliant. Long term care data is essential when it comes to recognizing the long term financial implications of trauma. There is the Uniform Data System for Medical Rehabilitation or UDSMR that evaluates the effectiveness of rehab programs for the trauma patient. This has given us the most comprehensive data on rehabilitation from injuries. These data do not, however, translate well to prevention programs for injury/trauma patients. Death certificate data doesn’t always provide accurate information for all injury-related deaths. Medical examiner and coroner reports help augment these data but they are not a hundred percent accurate either. Autopsy data is not perfect and tends to be skewed toward homicide-related trauma. Hospital-related data is also skewed and don’t often include data on those patients that were treated and released for their injuries. Trauma registries are skewed toward major trauma and exclude those patients who survive but are in the hospital less than three days. There is a great need for a single database that can link prehospital care, care in the emergency room, care in the hospital, and rehabilitative care altogether. Injury imposes a heavy burden on society at many levels, including morbidity, mortality, and cost of care. What isn’t recognized is that many of these injuries are completely preventable using specific strategies. Because of this, there isn’t the public outcry about injury deaths, as there is about illnesses such as cancer, HIV, and heart disease. These other diseases are much talked about yet contribute far less to the burden on society as trauma-related injuries and deaths. Most injuries are unintentional and most of the unintentional injury deaths occur in the elderly. Suicide greatly outnumbers homicide in this population. The risk of death greatly varies according to occupation. The US compares poorly when compared to other countries when it comes to firearm-related deaths. Elderly women make up the vast majority of hospitalizations from injuries sustained. 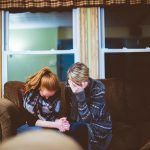 Teens and young adults make up the majority of emergency department visits, with most injuries occurring around the home. There has been a slight reduction in injury related deaths when comparing 1985 to 2004. Some causes of death are increasing while others are decreasing. Injury morbidity has dropped in every population except for the elderly. Alcohol and drug use continues to be related to several types of traumas. Trauma remains a great public health issue. Prevention and treating these injuries better will continue to be the focus of healthcare providers across the nation. The priority should be on prevention programs. Accurate data continues to be the focus of agencies trying to determine who gets injured and how to prevent these injuries from occurring. I’m Ed Smith, a Sacramento auto accident lawyer since 1982. 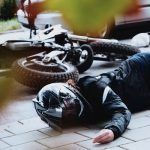 My website, AutoAccident.com is the leading site for information on auto accidents and other trauma in California. We’re members of the Million Dollar Advocates Forum. Ca;; us anytime for free, friendly advice at 916-921-6400 in Sacramento or 800-404-5400 Elsewhere in California.